Kenya has signed a deal with China to have a nuclear power station by 2025 according to the Kenya Nuclear Electricity Board (KNEB) says. Kenya plans to set up its a first nuclear power plant with a capacity of about 1000 MW by 2025, the board said, with ambitions to boost that to 4000 MW by 2033, and to make nuclear electricity 'a key component of the country's energy' production. The new deal which was signed in China, will enable Kenya to 'receive expertise from China by way of training and skills development, technical support in areas such as selection for the ideal site for Kenya's nuclear power plants and feasibility studies,' the KNEB statement on Thursday said. Kenya has already signed nuclear power co-operation agreements with Slovakia and South Korea, it added. As part of those deals, more than 10 Kenyan students are currently studying nuclear power engineering in South Korea. As well as oil-fired stations, Kenya has in recent years focused power efforts on boosting sources from renewables such as geothermal, hydro and wind power. With a fast-growing population, demand is climbing rapidly, and the country's hydro-electric capacity is strained by droughts and the impact of deforestation on rivers. Geothermal power stations are sited on the Rift Valley, the divide of tectonic plates through East Africa. Around three in 10 Kenyans have access to electricity, according to the World Bank, but that drops to only two in 10 in the poorest rural areas. 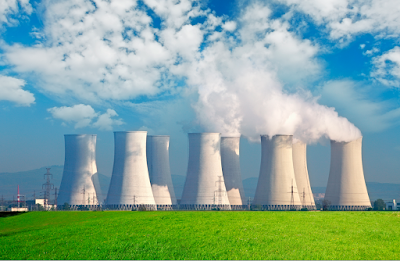 As of now, South Africa is the only country in sub-Saharan Africa with active nuclear power plants.